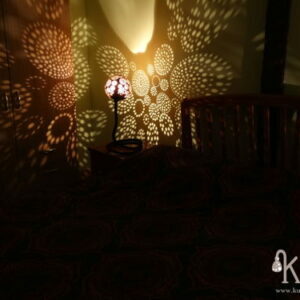 A bedside lamp designed to illuminate in a warm and environmental way your room when you are relaxed in bed. 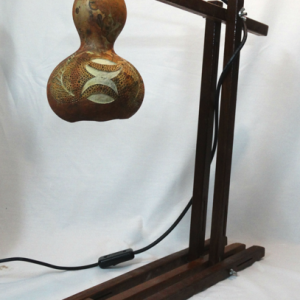 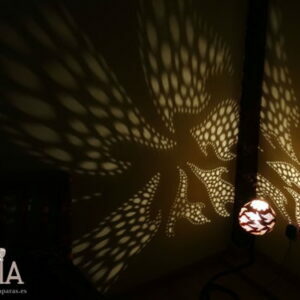 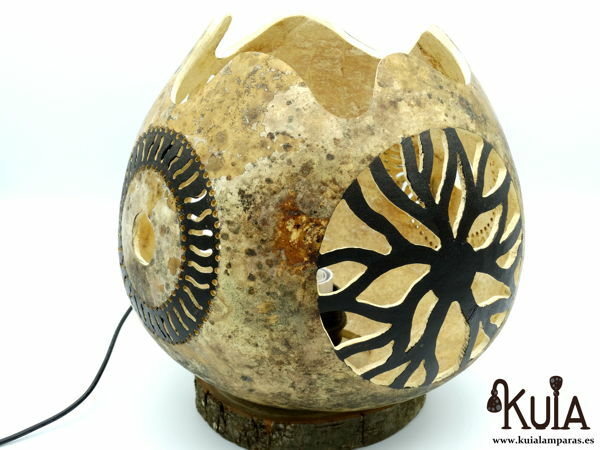 This environmental lamp, crafted with a gourd, has been designed to create effects of light and shadow on the walls that you can see in the photos. 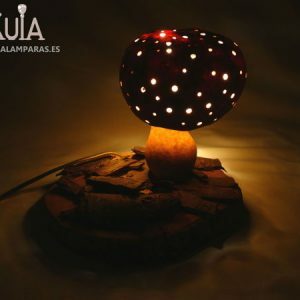 Switch on the lamp and your room will become a relaxing and romantic place, decorating all the walls of the room with their figures.The Usuar bedside lamp has a wooden base. 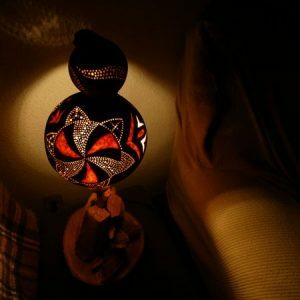 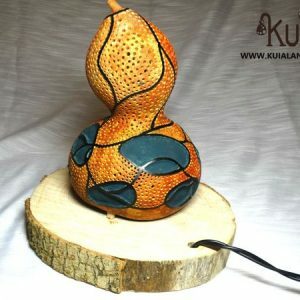 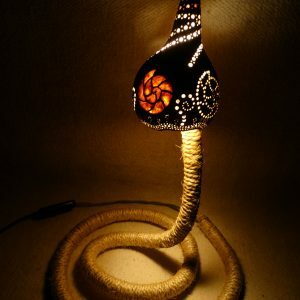 In it, the gourd “lampshade” has been carved with figures similar to an arbor of trees and on the other hand carved circles. 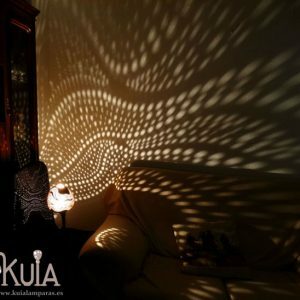 Designed to create the best drawings on the wall.If you are looking for a unique and exclusive lighting this bedside lamp is ideal to turn your room into a magical place.